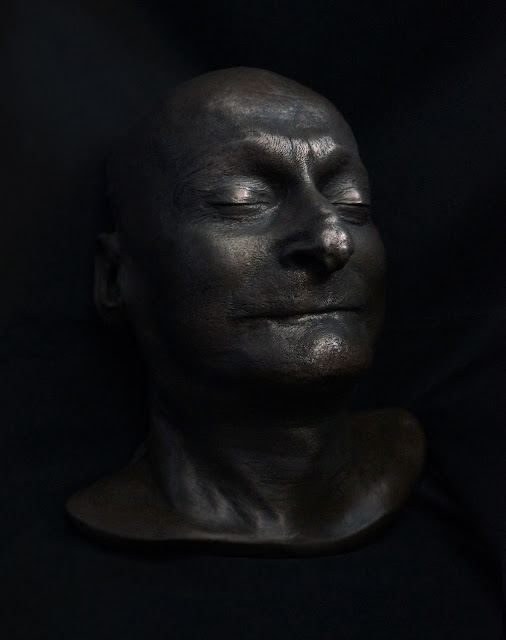 More accurately, cold cast bronze, this death mask was cast from a silicone mold taken from the original plaster. The silicone mold was then slushed with an extremely thick viscous paste comprised of urethane resin and copious amounts of powdered bronze. For more about Eric and how this incredible cast came to be, please click HERE.